One of the first things that beginners to Croatian learn are the names of the days of the week. As with most languages, in Croatian the name of each day has a meaning which is linked to the etymology of the word. Although most of the countries in the European Union now use the Euro as their currency, Croatia – who joined the EU as recently as 2013 – still uses the kuna, which was introduced on 30th May, 1994. Planning to spend your holidays in Croatia this year? Take the plunge and try speaking a few words of Croatian when you're there! In this post we've created a shortlist of useful words and phrases, along with audio recordings – so you can listen to how each is pronounced before trying them out for yourself! 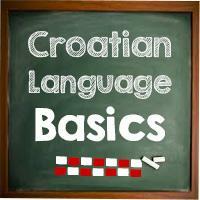 This post is aimed at complete beginners to the Croatian language. Here we introduce the concepts of cases, articles and noun genders and talk about the role each plays in Croatian. For those that are interested in finding out more there are also links to detailed blog articles about each topic. Our Summer 2015 Croatian language holidays will take place from 8-15th and 15-22nd August in Crikvenica, on the Adriatic coast. Prices start from €649 (approx. US$728.30) all in, including half-board hotel, lessons and various afternoon activities. 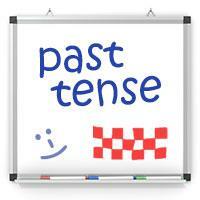 In our grammar post about the past tense we explained when to use past tense in Croatian and how to conjugate it. You can also read about the exceptions to the rules and when to omit the personal pronouns. Here you'll find a series of past tense grammar questions for you to test yourself on. Have fun and good luck! In this post we'll help you avoid some of the most common mistakes when pronouncing Croatian words. We'll also give you some tips on getting to grips with longer Croatian words before introducing you to the longest word in the Croatian language! In this post we'll deal with the pronunciation and usage of those unfamiliar letters in the Croatian alphabet which beginners to the Croatian language often find confusing: the letters č, ć, dž, đ, š, ž, lj and nj. Correct pronunciation of Croatian boils down to one simple rule: every letter is pronounced the same, regardless of its position within a word. In Croatian, one letter equals one sound. In Croatian you won't come across consonant clusters pronounced as a single sound (e.g. as with th in English or sch in German). So you're packing for your holiday in Croatia ... while you're trying to remember what you've forgotten to pack, why not learn the names for some of the items of clothing in Croatian? Learn the names of different items of clothing in Croatian, listen to some spoken examples, then test yourself with our vocabulary trainer! The instrumental case is used to denote the tool or means used to accomplish an action (travel by bus), to state company (similar to with in English), and to refer to the unity of two entities (coffee with milk). 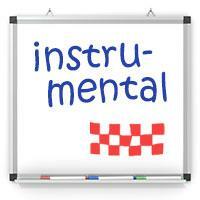 The instrumental is generally considered the easiest to learn by our students. 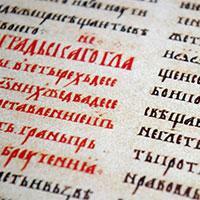 The Glagolitic alphabet is the oldest known Slavic script, with 41 characters. It was introduced in mid-9th century and was used in Croatia – and only in Croatia – up until the 19th century, which means that it was the official script in Croatia for 1000 years! The first mention of 'Croatia' was in Glagolitic script and dates back to around 1100. In our grammar post about the vocative case we explained that the vocative is mostly used with people’s names when they are being spoken to directly. Here you'll find a series of vocative grammar questions for you to test yourself. 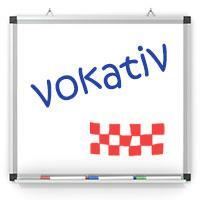 Learn some common vocabulary useful when booking and staying in a hotel in Croatian, and then test yourself with our vocabulary trainer! 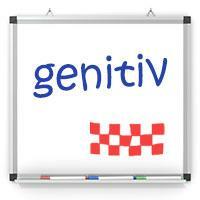 The genitive case is considered to be the most difficult case to learn in Croatian because it is used in so many different situations and contexts. The endings in the genetive are very easy to remember, however: almost all of the nouns end in –a! Christmas customs are an important part of Croatian tradition. Although Croatia is a relatively small country, it has a surprisingly large number of customs and traditions, which also vary from region to region. 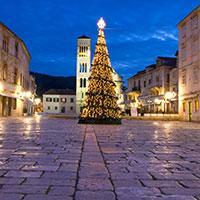 Here's a general overview of the most important customs in Croatia during Christmas time. 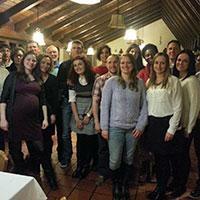 The Školica team organises regular meetups for staff and students at the end of each semester. The biggest and the most cheerful among them is usually the one held before Christmas. It wouldn't be wrong to say that Christmas Meetup at Zum Blaustern restaurant has become a part of Školica's tradition! Forming plural nouns in Croatian isn't difficult, however in order to create the plural of a noun you have to first determine which gender the noun is. If you haven't yet learned about noun genders, take a look at our blog post on rules for noun gender in Croatian. How often do we ask ourselves about the origin of the things around us, and who it was who first invented those things we usually take for granted. What if I told you that the rotating toothbrush and and the fountain pen were first patented by a Croatian inventor?